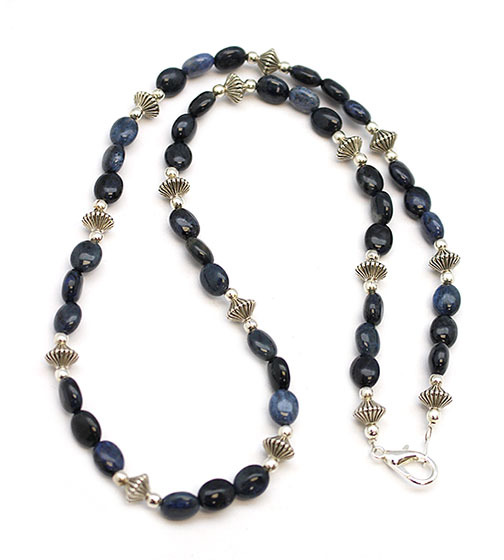 This necklace is made with dumortierite stones with silver plated findings. It measures approximately 24" long with silver plated findings. Native handcrafted by Navajo artisan Sandra Francisco. Necklace length will vary from 20" - 24" long. Color shade of stone may vary.